1995 Lionel Trains 6-19726 New York Central Bay Window Caboose Flyer. Mint Condition. - $4.00 : Olson Hobbies, Welcome To The Train Page! 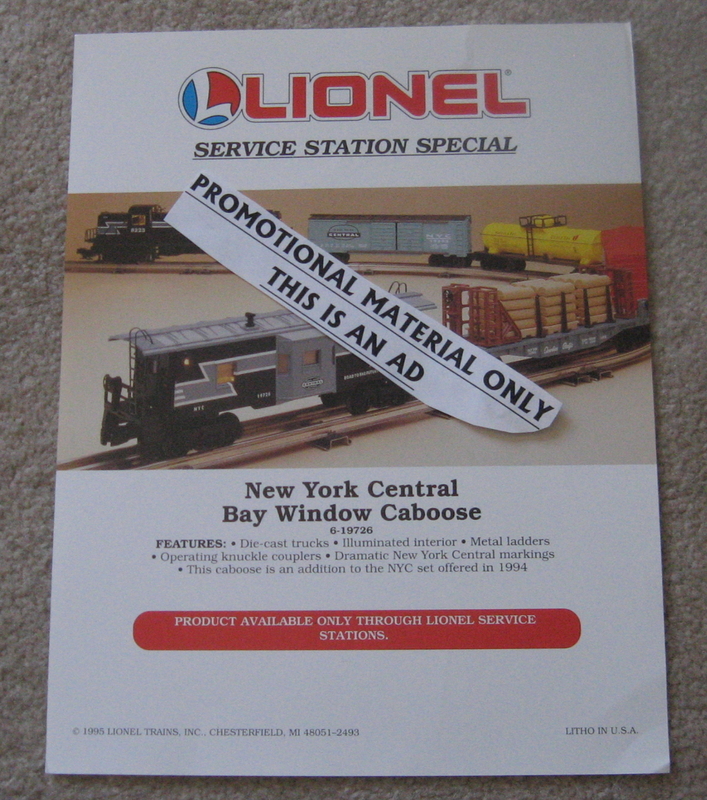 1995 Lionel Trains 6-19726 New York Central Bay Window Caboose Flyer. This shows the caboose from the 1995 service station special which consists of the 6-11744 New York Central RS-3 Diesel Engine with two motors that runs on either AC or DC, diesel horn, operating headlight and remote control reverse unit. Rolling stock includes the 19263 NYC Double Door Boxcar, 16903 CP Flatcar with wood load, 19605 Hudson Bay Tank, 16066 NYC Combo car and 16067 NYC Passenger car. This is the promotional material only and not the rolling stock you are purchasing.